A brass band plays while a 125-man platoon carries the tower. Though the food options are limitless, you can't go wrong with Italian seafood. 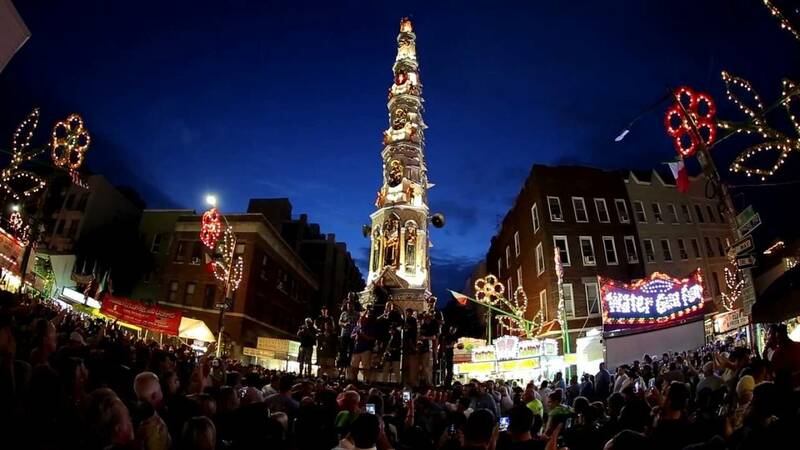 Faith, food, live music, rides, Italian vendors selling specialties, and an 80-foot-tall, four-ton statue…what more could you ask for? Yes, you read that right. 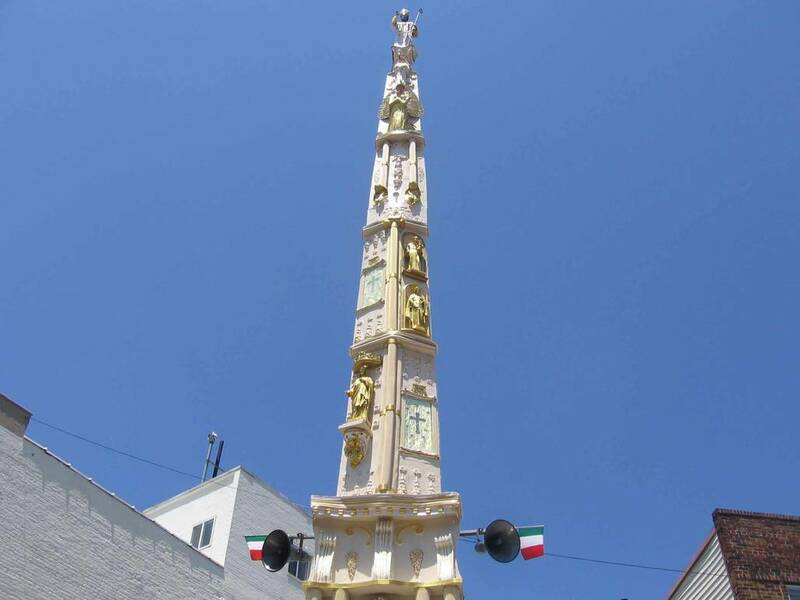 As tradition goes, no matter how unusual (yet simultaneously spectacular), Brooklyn’s Feast of Our Lady of Mount Carmel and St. Paulinus of Nola will feature all of those fun activities and attractions, including the five-story, hand-crafted tower, known as the Giglio (“lily” in Italian). 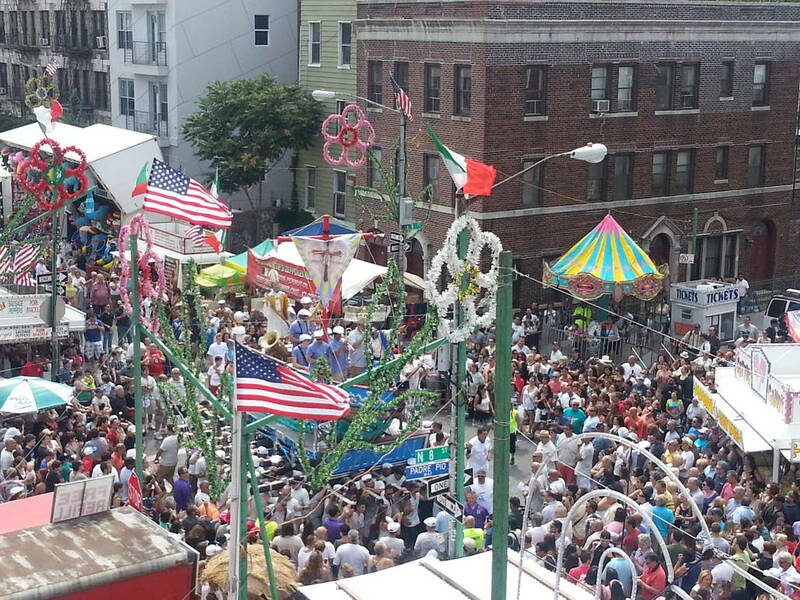 Long story short, the feast originated with Neapolitan immigrants, who settled in Williamsburg over a century ago. They began this unique custom in 1903 to celebrate the release of St. Paulinus, an early Christian martyr taken prisoner by the Turks. 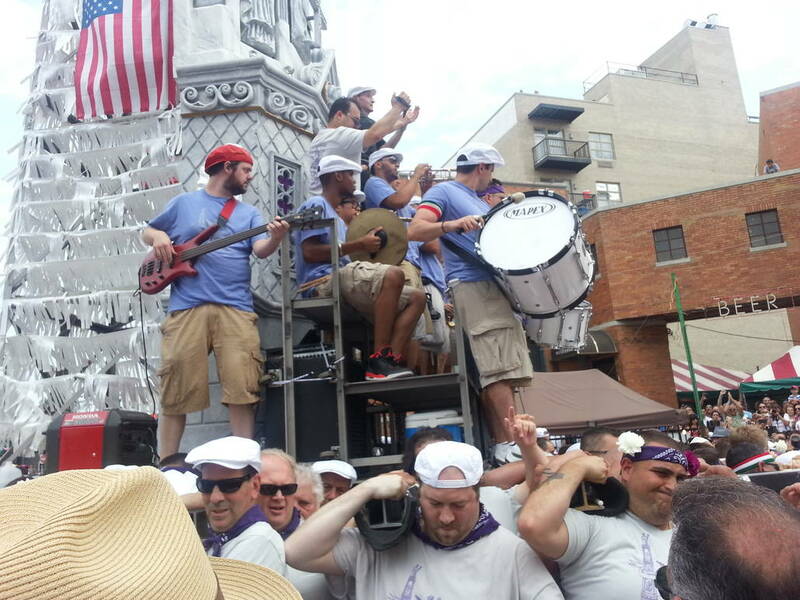 Fast-forward to today, the tradition continues in a 12-day extravaganza filled with parades, artwork, tempting treats, and Catholic masses in several languages. A close second is the re-enactment of St. Paulinus’ release from captivity, which includes an ornate, custom-made ship docking with the tower. 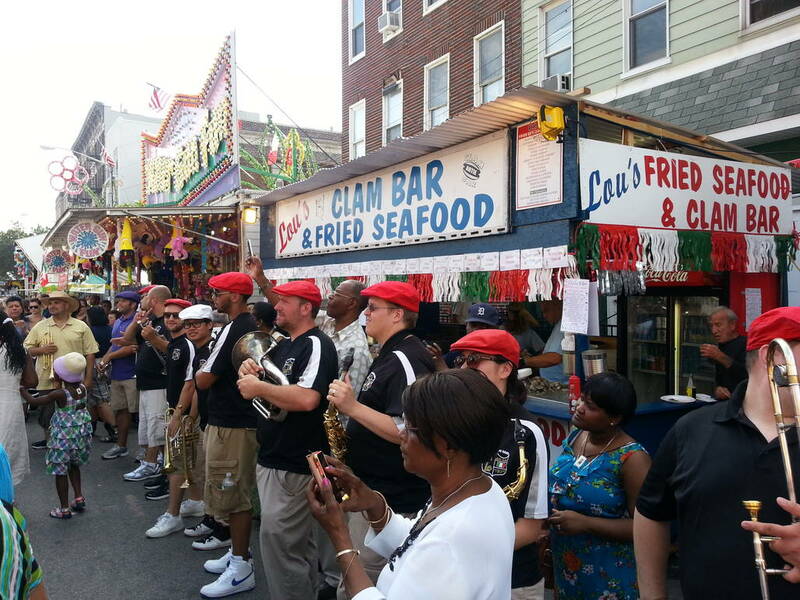 This year’s Italian festival, in its 130th year, will commence on Wednesday, July 5, with an opening night mass, and lasts through Sunday, July 16. 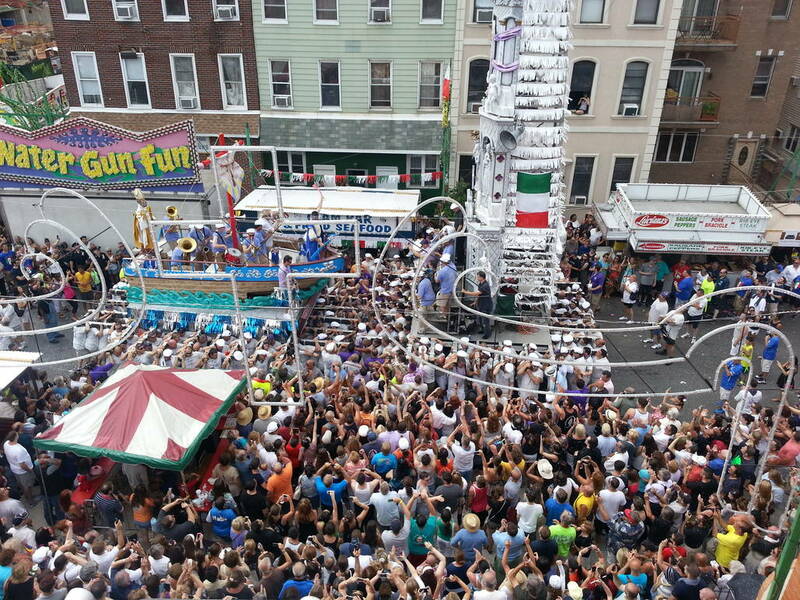 Fun fact, it’s 40 years older and only second in size to the Feast of San Gennaro in Little Italy. So come on out and watch the streets of Williamsburg, Brooklyn, come alive, and enjoy Italian delicacies like seafood, zeppole, braciole; have fun on a ride; or buy souvenirs you’d only find in Italy. Please see below for details and click here for the schedule.